My Visitors Insurance Claim was Denied, Now What? If your visitors insurance claim is denied, you should file an appeal. An appeal is a formal request to the travel insurance company to reconsider approval for your claim. Visitors insurance claims are often denied for lack of supporting documentation and can be easily contested with an appeal. Policyholders should know they have the right to file an appeal in the case that their claim is denied and are encouraged to do so to receive all eligible benefits. In cases such as these, you should file an appeal to have your claim reconsidered. Your claim may have been denied if the treatment or service you received was not a covered benefit. In this situation, you should review your policy details to make sure the claim denial was justified. If it was not, file an appeal. 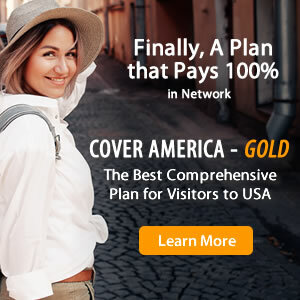 If the travel insurance company falsely determines that the treatment you received was for a pre-existing condition, you should obtain a doctor’s report from your physician stating that the treatment was for a new condition. Send this along with your appeal. If your claim was denied because the insurance company considered the treatment not medically necessary, you may be able to have your physician write a detailed letter that explains the need for the treatment. 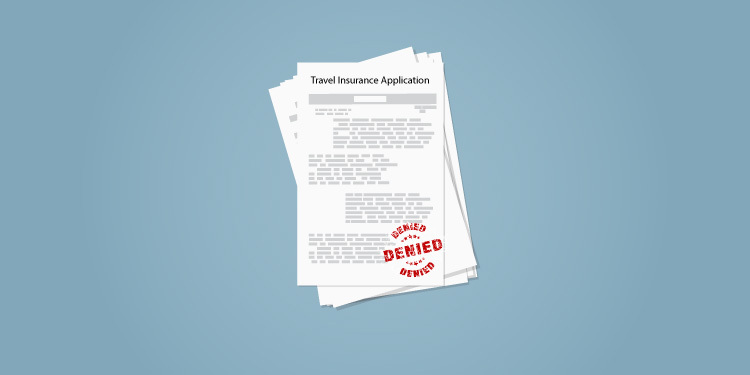 If your claim was denied for any other reason or you do not understand why it was denied, you should contact the travel insurance company. Most insurance companies have their own specific process for filing an appeal. You should contact the insurance company before you file an appeal to obtain the guidelines for doing so. Below is a list recommended steps you should take when filing an appeal. Gather the necessary documentation from the doctor or hospital where you received treatment to submit with your appeal. Compose a detailed request to your insurance provider to reconsider the claim. Submit the appeal to your insurance company. Be sure to follow up with the insurance company to verify that it has received your appeal. If the documentation gets lost or does not reach the insurance company, your claim may not be processed. Once the travel insurance company receives the documentation, it will review the appeal, a process that can be very slow. If the appeal is approved, you will be paid for the eligible claims and receive reimbursement. Many appeals are approved and even if your appeal is rejected, you may be able to take your case to small claims court. Before filing an appeal, make sure that your claim was for a covered benefit. Refer to our list of visitors insurance exclusions to see what may not be covered.